This show was 16th in the global grime chart. 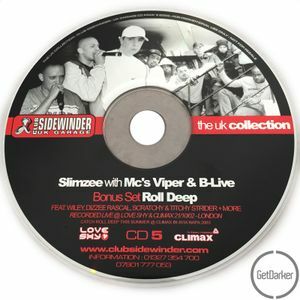 Live recording of Slimzee with MC&apos;s BLive & Viper at Loveshy v Climax, Brunnel Rooms, Swindon - 2002.
very crazy sounds i like it sounds original something special cool upload! !